Download this white paper to learn how data centre teams can keep up with complex workflows and reduce costs by leveraging a dynamic data services platform. Agility is essential in any IT environment, but is made difficult when you are managing multiple initiatives. 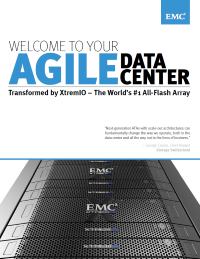 Combining multiple mixed workloads in your company’s agile data center is finally made easier, with XtremIO all-flash arrays.